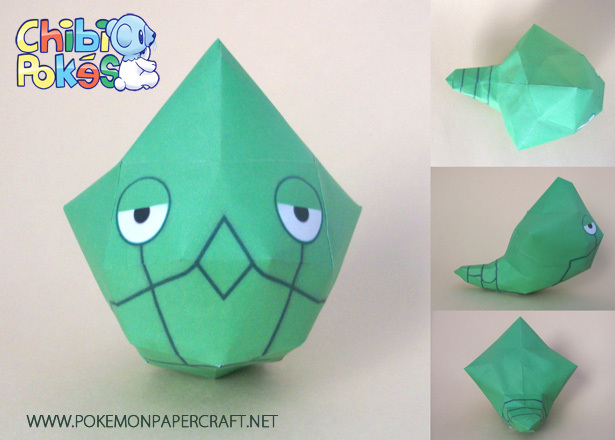 Interesting Facts: In order to conserve as much energy as possible, Metapod generally remain motionless. They can be very difficult to spot in the wild, because their green coloration helps them blend in with the treetop canopies. If an enemy discovers Metapod, it is unable to do anything other than harden its outer shell. It evolves from Caterpie starting at level 7 and evolves into Butterfree starting at level 10. Would it be easier to close at head or tail?